making seals where radial space is limited. 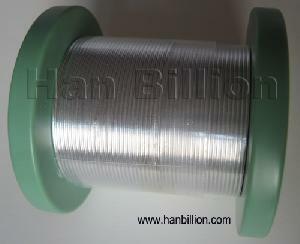 We make a wide range of Indium wire diameters. One of the most requested sizes is 1.0mm, but our available range from 0.5mm to 3.0mm and larger. Meanwhile, we can also supply Indium foil, Indium sheet, Indium ball, Indium powder, Indium ingot, Indium target, ITO, etc.. If there is any interest, please feel free to contact us for more details and pricing.